While antagonizing the preachers that visit our campus can be cathartic, it’s unproductive. They will not be swain, and instead see it as justification for proselytizing because we are apparently willfully ignorant of God, and thus need them to show us the light. The problem isn’t with them believing that we need Jesus. The problem isn’t them remaining stubborn even when debated rationally, as faith is naturally stubborn. The problem is them standing there and acting like they know definitively what God wants and needs them to do. Them having their faith is not an issue, but them pushing their faith as though it is the decisive instantiation of the Christian tradition is the issue. It’s not right to claim to be God, as that’s a sin. And I don’t pretend to be God, or pretend to think I’m God or pretend to think I’m better than God. But then, what about organized religion? Is it not equal hubris to claim to know the word and will of God, and to propagate it? The Bible, while meaningfully both spiritually and culturally, is wrought with contradiction. 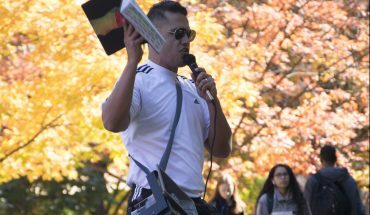 The holy book tells us to love our neighbors, unless they’re gay (Romans 1:26-27); not to kill people unless they’re non-believers (2 Chronicles 15:13); and not to bear false witness, unless you’re every dogmatic preacher that’s ever set foot outside the Johnson Center screaming “the word of God” at passersby while eagerly anticipating one of the “snowflakes” to get “triggered” and punch you. Messages as mixed as your fabric, you stand there and shout fundamentalist-Christian conservatism under the pretense of the Lord’s approval. But if He approves, neither you nor I can know that. Let’s assume you’re right. Turn to Deuteronomy 28:53: “And thou shalt eat the fruit of thine own body, the flesh of thy sons and thy daughters, which the LORD thy God hath given thee[. ]” Where is this divine punishment? If biblical morality is literal, then the punishment must be so as well. Does God exist? If you ask me, absolutely. Still, I don’t dismiss science, I don’t dismiss my lesbian neighbors, I don’t condone killing anyone, I don’t preach the word of God but I can still feel Him looking out for me. I am attracted to both men and women, yet I can still feel him looking out for me. I don’t dismiss these feelings and I don’t dismiss those around me who aren’t faithful, because the way I see it God loves them either way. 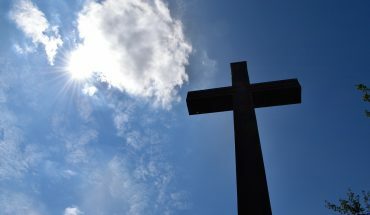 Your “Christianity” may be the religion of love, as you claim, but it is only love of possibility, the love of others’ capacity to be Christian. Whatever God wanted me to do in life, I won’t know until I die. But neither will you. 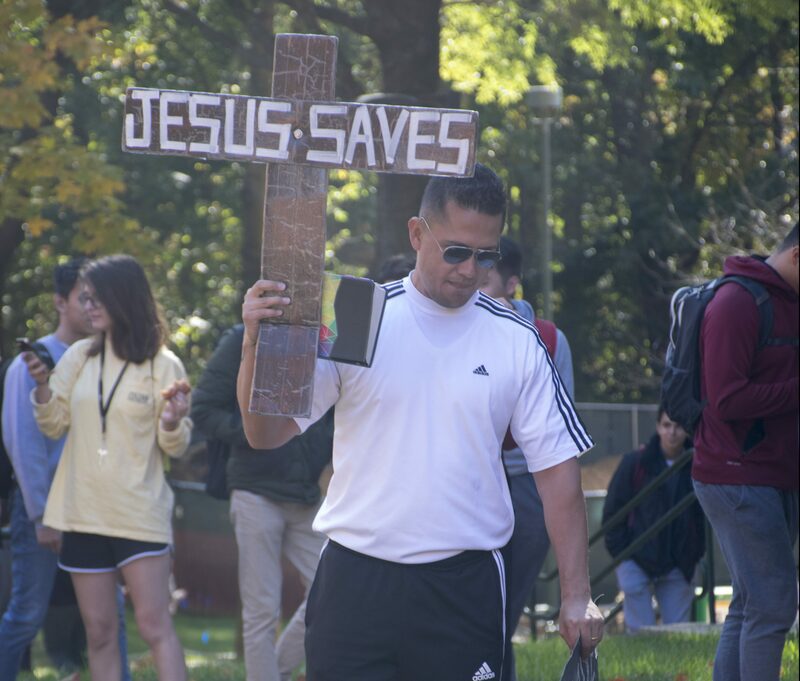 You claim that we, the on-average liberal college students, are in dire need of Jesus Christ. Who are you to tell me what God, an omnipresent and omnipotent spirit far beyond our comprehension, has to say about the way I live my life? Who are you to say that this same omnipresent, omnipotent spirit has remained static since the Bible was written? Sounds like arrogance to claim we have the capacity for something God does not. If we can change, God must be able to as well. You can stand there all you like and say that masturbating, fornicating and drug dealing are all equally morally reprehensible in the eyes of the Lord, as that’s your God-given right. But I don’t have to believe you just because you think you know what God wants. 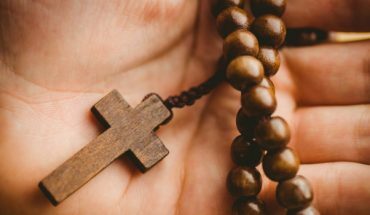 Why are you still a Catholic?